I shot off an email to an Irish actor I know and begged for advice. He was very detailed about which hotel in Dublin to stay at and even suggested a visit to a second castle. My own research revealed that it would be silly to land at Dublin Airport since the wedding castle is closer to the one in Knock. But you can’t fly to Knock directly from the U.S. So we’d travel first to England and stay for three days. London is sort of within my zone of comfort. I’d been there a few times and love it. And I’d be visiting with good friends who live there. More comfort. But I was determined to challenge myself. No, not swimming the English Channel. For me — someone who suffers from serious vertigo — a real challenge is dining alongside wrap-around windows atop a skyscraper. In this case, the building was the Shard, also known as the Shard of Glass, 95-stories, top-to-bottom. It’s located near the London Bridge. The restaurant is Hutong, the famous, always-written-and-talked-about Chinese restaurant. I had no chance to recover from the elevator panic. The restaurant din was deafening. Lighting and noise like a disco. Strobes. Rock music. Clattering dishes and silverware. Couldn’t have a conversation. Luckily, my husband and I have already said everything. Trust me, this is no place for a relaxing meal. Clubbing was never my thing. I did once go to Studio 54 where the mob popped amyl nitrates in each other’s nostrils and “vacuumed” lines of cocaine off bathroom sinks. I never had to try that again. Nor do I need to try Hutong again. Give this Beverly Hills girl the quiet comfort of Mr. Chow – at street level. To Ireland. As if the traveling isn’t stressful enough, the flight from London is departing from Gate 13. The flight number: 911. Really. Thankfully I didn’t realize this until after we’d landed safely. Once in the old sod everything went smoothly – thanks to the groom, who painstakingly planned every detail. People landing in Dublin were shuttled on buses. Those arriving at Knock, like us, were picked up by hired cars. Over a hundred people gathered at a medieval castle. I should mention I’m extremely friendly, almost pathologically friendly. I can give a big hello to an enemy and then suddenly remember that I hate that person. But I’m not into socializing for more than the time it takes to eat a meal. I’m spent. I need days to recover. I could never have been a high-powered exec with a nightly schedule of socializing. I like my bed and solitude way too much. It’s where I rejuvenate. So, three days of smiling & chatting with strangers? Beyond the Zone. Weeks earlier, I had a bad dream. I’m in a house in the countryside. Scotland or Ireland. It’s remote and I’ve not left it for all the days I’ve been here. I had wanted to try the famous local gravlax but it is never served. This is a Fredde Duke nightmare: great food and no service. I woke up during the dream to go to the bathroom. When I returned to bed I willed myself back into the dream because I really wanted to try the gravlax. But a few bathroom breaks later, I still hadn’t been served. Hitchcock meets the Food Channel. I give this dream a bad Zagat rating. 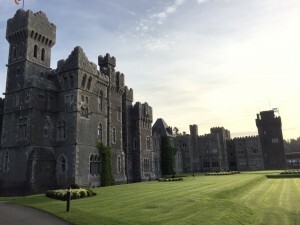 At Ashford Castle, I do get to sample the salmon. All kinds and forms of it. It’s not a dream – more like a dream come true. The food at Ashford Castle was so good. Not hotel style at all. Not even castle style. Every meal was gourmet and delicious. 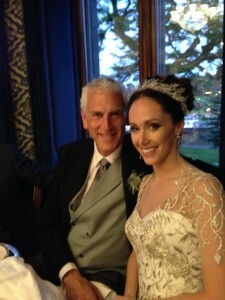 Then the magical wedding in the castle happened – a real life fairy tale. But it’s a story the bride and groom will have to tell. This is a food blog. Mostly. 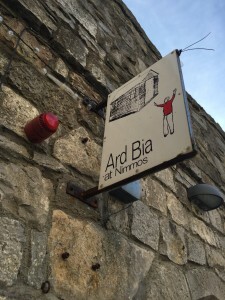 A day in Galway that I need to rave about. 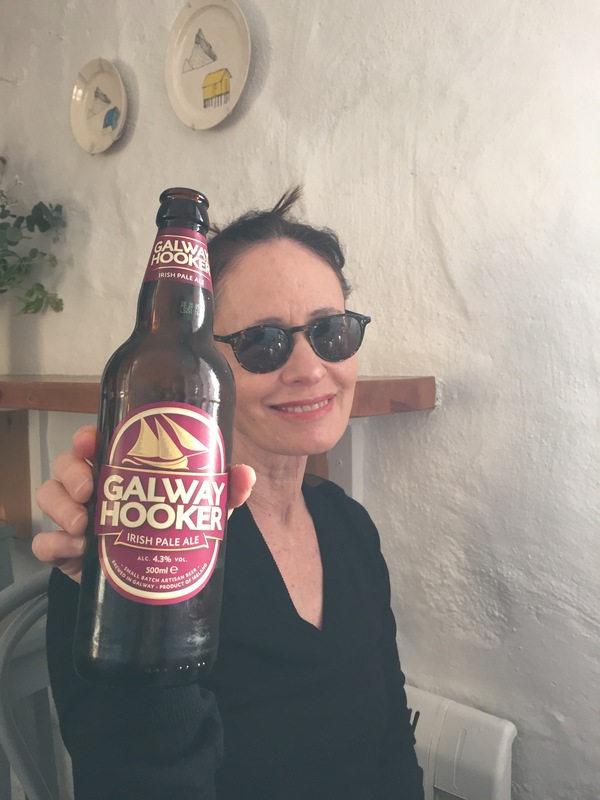 Irish actor slash travel agent had suggested a stop here and this was the food highlight of our trip. Who would have guessed? The hotel room wasn’t ready. I was hungry. The concierge suggested we try a place on the waterfront called Ard Bia. We weren’t sure we heard right due to her thick brogue. We didn’t know what we were looking for. Ard Bia at Nimmos. On the Long Walk along the River Corrib. Behind the Spanish Arch. So friggin charming. Feels like you’re in a boat. Little nooks with dining tables. Candles on some, most with candelabras. A small table we chose overlooked the water and the view of an ancient church. Food was outrageous. I mean a blow-me-away meal. 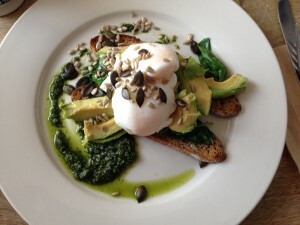 The two dishes we ordered and shared were: eggs and avocado on toasted grain bread with spinach and drizzled pesto served with sunflower and pumpkin seeds tossed in. And mezze served on a carving board with beetroot puree, squash puree and hummus. It was so good, we went back again for dinner. Can I just say that everywhere we went, brown Irish Soda Bread was served and now I’m addicted and don’t know when and where I’ll find it again. 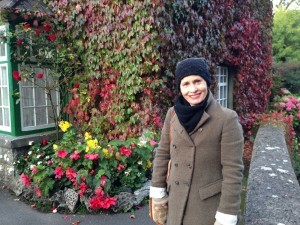 Speaking of meals in pubs, the groom’s family threw a full-on Irish party in a pub in the village near Ashford Castle. We all took a stroll to get there. The Village is Cong. It and the castle were the location for John Ford’s “The Quiet Man.” Here you will find The Quiet Man Hotel, The Quiet Man Pub, The Quiet Man Museum, and many other Quiet Man establishments. There is a statue of John Wayne holding Maureen O’Hara in the Town Square. We listened to Irish music and ate Irish stew and fish and chips. My favorite dessert: Sticky Toffee Pudding with a giant bowl of help-yourself whipped cream. So I helped myself. Generously. The weather on this trip was so outstanding that all the friendly Irish people we met, it’s all they could talk about. Not one drop of rain. I told cab drivers and everyone I could that I brought the good weather to them. They said to make sure I didn’t take it back. On our last night in Dublin, before getting only a few hours of sleep, I ordered up gravlax (what else?) and Irish soda bread (naturally). I prepared some lovely sandwiches for the long ride home. I needed one last fix. I guess I can check Ireland off my bucket list. But I think I might go back for that brown bread and a third meal at Ard Bia. 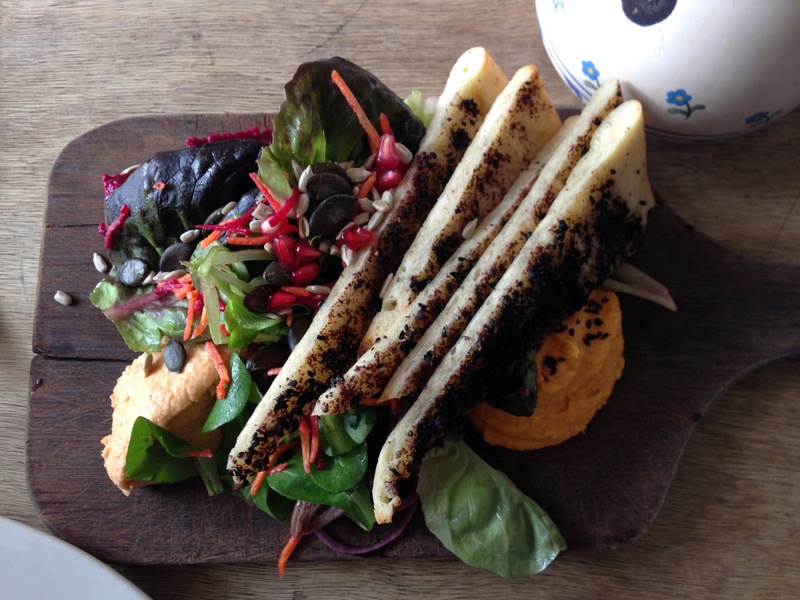 This entry was posted on Tuesday, December 1st, 2015 at 1:36 pm	and is filed under Reviews. You can follow any responses to this entry through the RSS 2.0 feed. You can leave a response, or trackback from your own site. Was this a recent trip to Ireland? I have always insisted never wanted to visit … maybe cuz I AM Irish ? Or not fond of what I believe to be boring Irish fare and too much beer (I have drunk more than a sip.. horrible tasting) You have changed my mind! 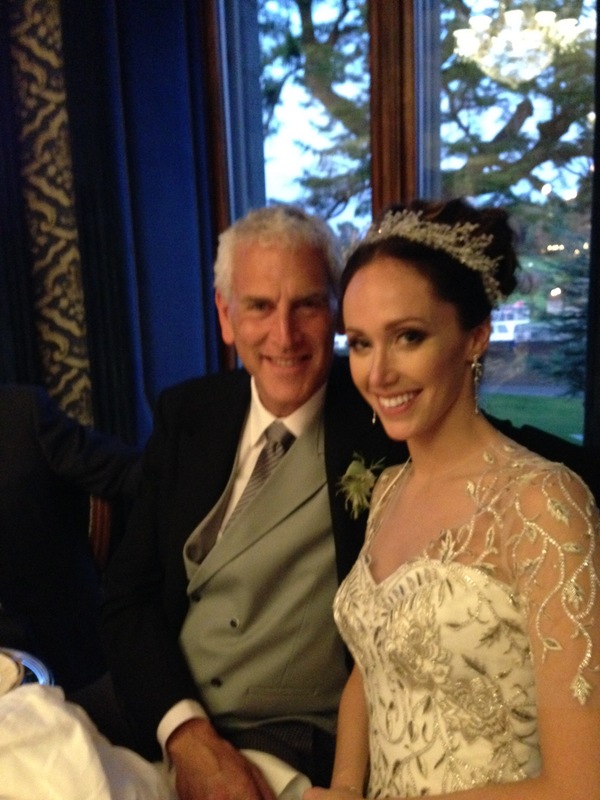 Did I mention the bride looks lovely but her dad… YUMMMY … Jennifer. still married. in Venice..